In only two hours, you will feel great physically, possess a solid understanding of how to use self-massage for your needs, and have an excellent new roller as the tool to use to get that feeling on your own. Self-massage can improve hydration, release chronically tight muscles, and break up restrictions and can even enhance the benefits of hands-on work by a massage therapist. 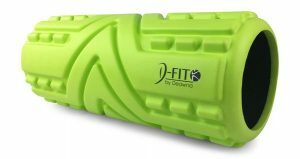 You will also take home a top notch foam roller, the Arrow Roller, designed with some smart features to increase the benefits of your time spent on self-massage. In only two hours, you will feel great physically, possess a solid understanding of how to use self-massage for your needs, and have an excellent new roller as the tool to use to get that feeling on your own!